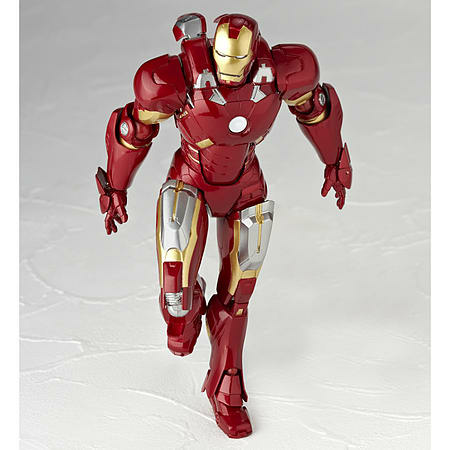 From the Marvel Cinematic Universe, Kaiyodo presents the Legacy of Revoltech Iron Man (Mark VII) Action Figure! 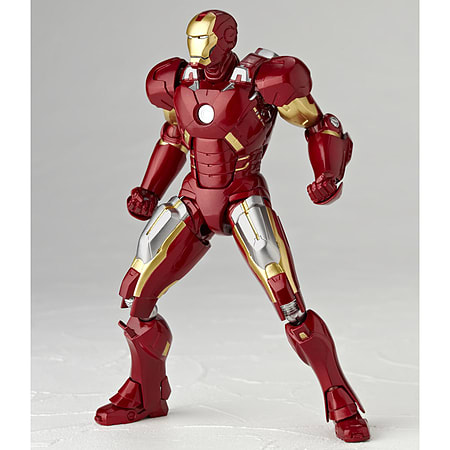 From the Marvel Cinematic Universe, Kaiyodo presents the Legacy of Revoltech Iron Man (Mark VII) Action Figure! 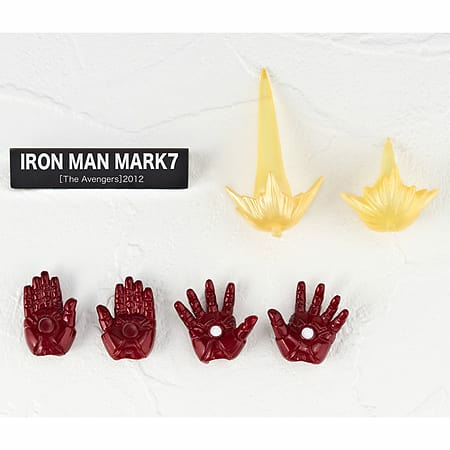 Based on Iron Man's appearance in The Avengers this figure stands at approx. 155mm tall and has 23 points of articulation. 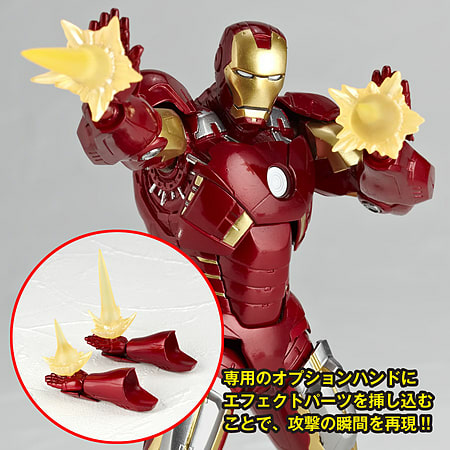 This model features optional repulsor hand blast effects and interchangable hands to allow you to recreate any of Iron Mans iconic battle scenes!